This commission is centered on a land-form called Point Roadknight situated on the Surf Coast along the Great Ocean Road. Part of my process includes taking photographs and frottage. 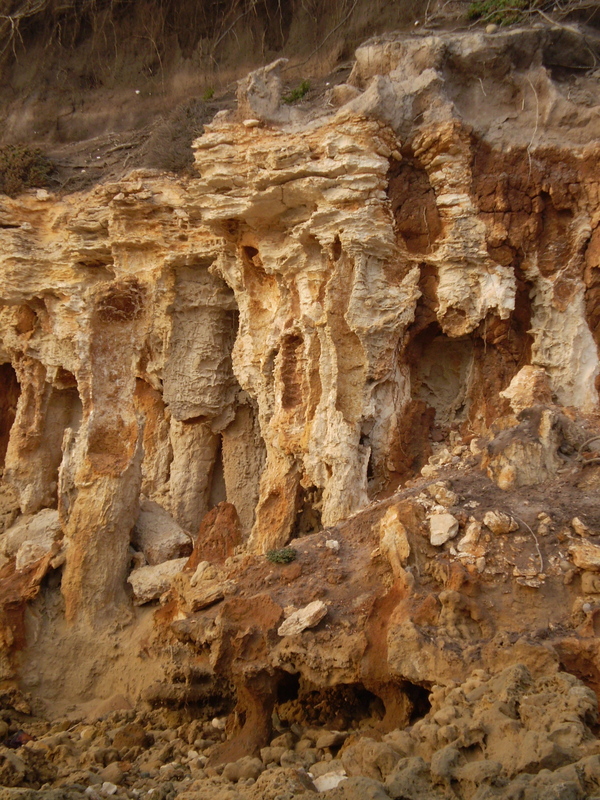 The photographs show the context, the environment in which the specific rocks that structure this feature of the landscape. 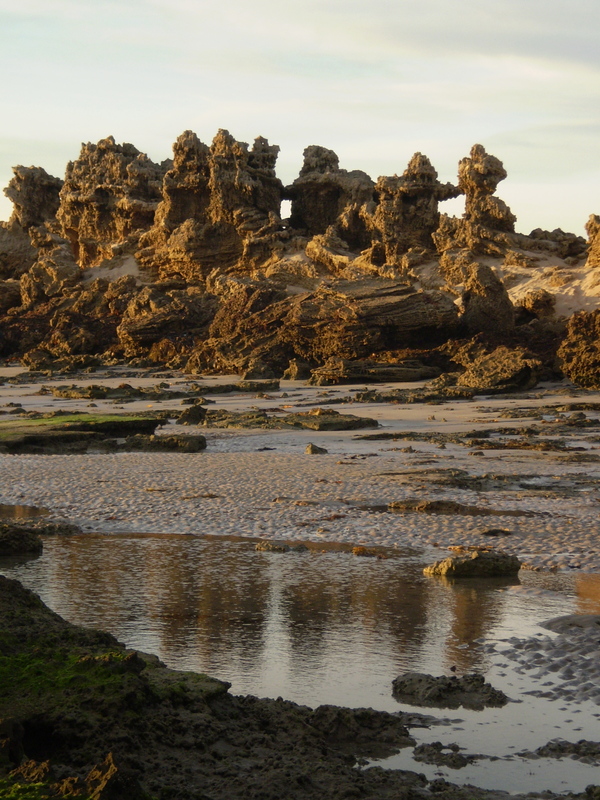 The particular rocks are columnar in shape and resemble revealed ancient ruins as softer material around then eroded. The columnar shaped rocks are hard but also brittle mineralised calcification caused by rain leaching through top layers of the land-form. 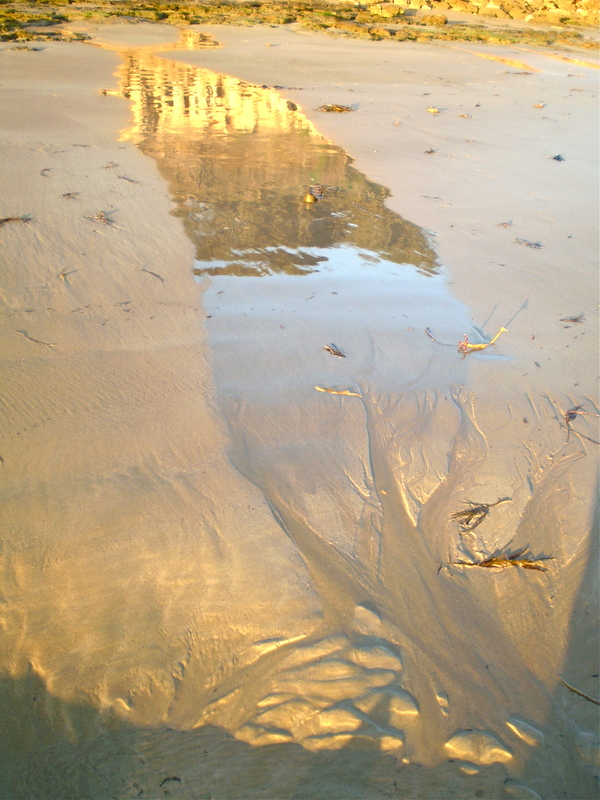 The painting is about erosion of the rock face and its reflection in pools and on wet sand. I would like the final image to show a partly dissolved structure surrounded by a watery environment. I approach this topic with nostalgia because the rate of erosion seems quite fast as each winter less of the Point remains especially these ” columns” and their configuration. But first the visual and tactile exploration. Point Roadknight reflections photograph taken early morning. Sand and Reflection photograph with sunrise reflecting on rocks in turn reflected in wet sand. These are only three of the many studies that help me appreciate the action of water and the resulting erosion. I then take frottage from rocks in this area. 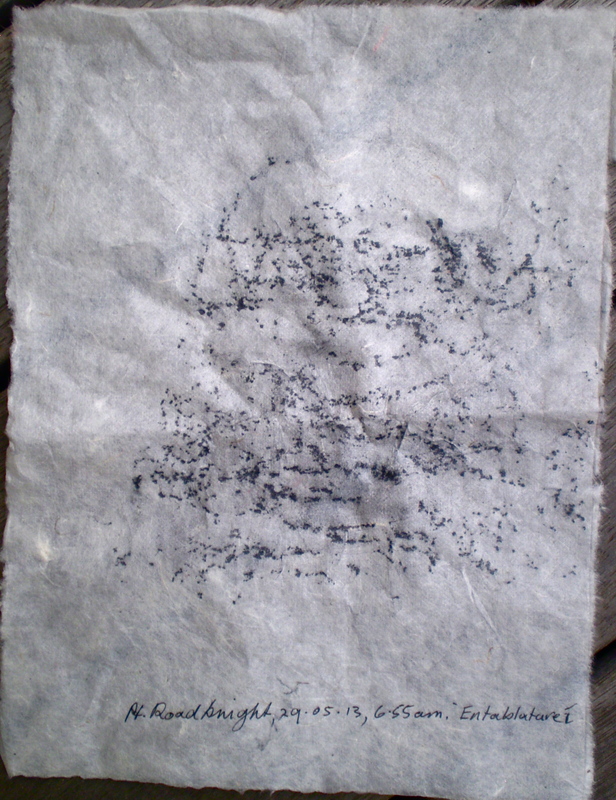 Frottage 1 on rice paper taken from rock surface reminiscent of an entablature. Frottage taken from transverse section of a broken column at Point Roadknight. Frottage taken from the internal wall of a broken column at Point Roadknight. 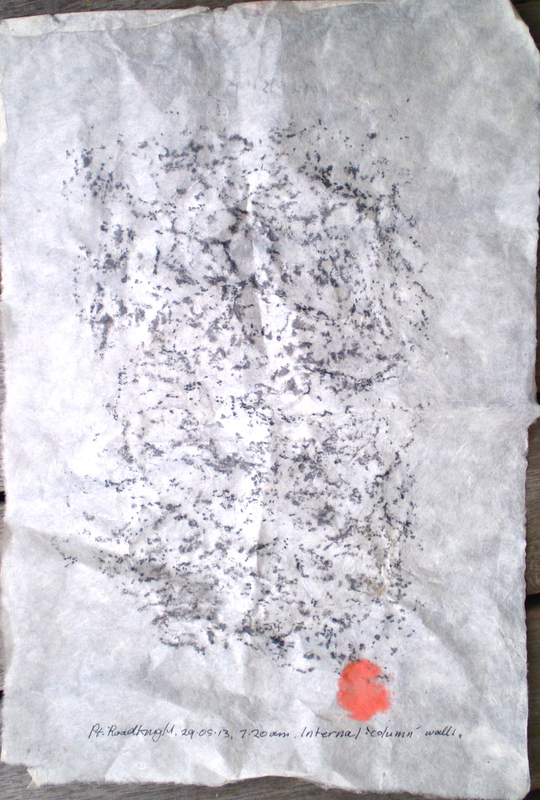 I moulded rice paper to particular rock textures over which I rubbed graphite to produce a type of print or rubbing called a frottage. 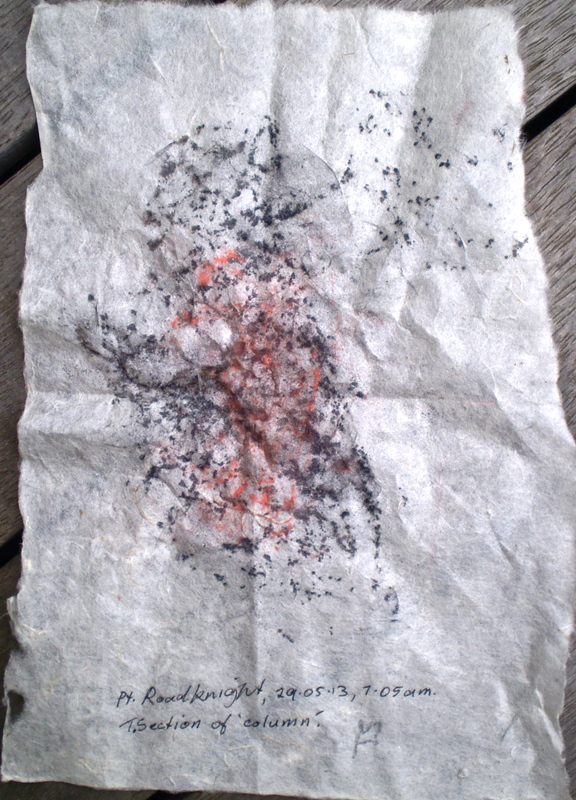 The next stage involved placing the rice paper frottage onto the canvas with gesso where I combined them with a rough ink drawing. 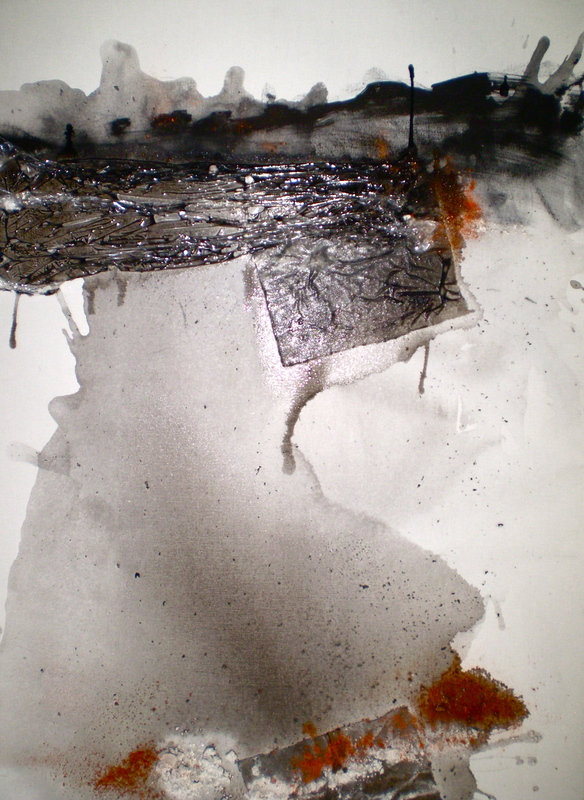 Then I poured ink and gesso onto the surface as a way to suggest part of the rock structure. A blue over painting wash consisted of oil painted diluted with gum turpentine. 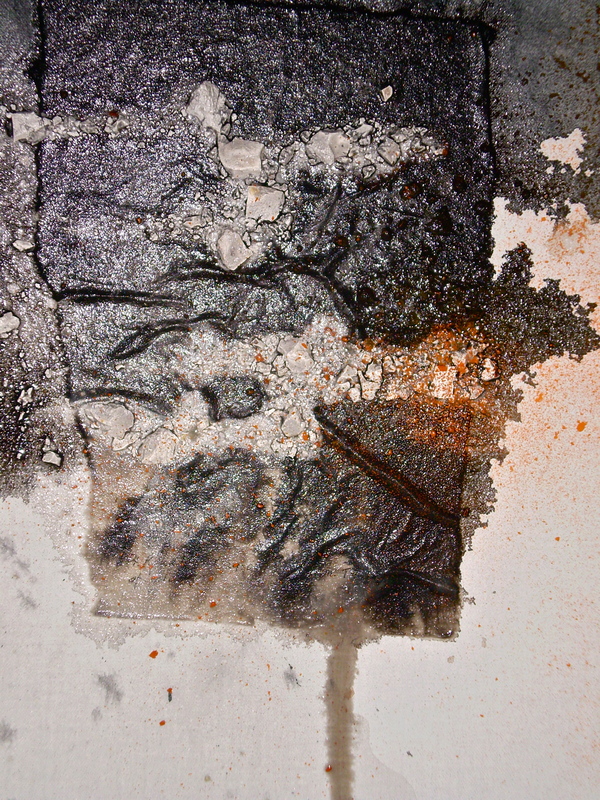 Underpainting consisted of the frottage, ink and gesso. The second ink and gesso layer over painted with the third layer of gum turpentine oil paint wash. 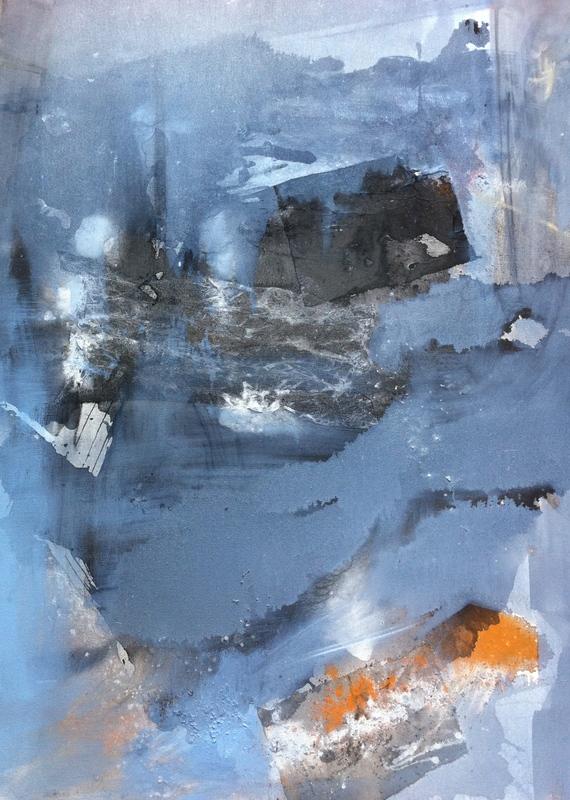 Categories: Drawings, Oil Paintings, Preliminary photographs | Tags: abstract, environment art | Permalink.